Chalet Papillon 4, la Rosiere is a duplex chalet apartment on the second and third floors of Chalet Papillon, it has four bedrooms all with full en-suite facilities. The open plan lounge and dining room are on the upper level with the bedrooms below. In the chalet lounge there is seating for everyone around the fireplace and access to the balcony. All bedrooms in chalet Papillon have full en-suite facilities; there are two communal saunas and plenty of underground parking. We have installed Wi-Fi internet access in Chalet Papillon, for those who really cannot do without it while skiing in la Rosiere. These catered ski chalets have proved to be very popular with regular Ski Beat guests. There is a ski deposit together with boot warmers on the ground floor. Luxury Massages (extra cost) in your own chalet (Hot Rocks, Relaxing Swedish or Deep Tissue if you've taken a tumble on the piste). 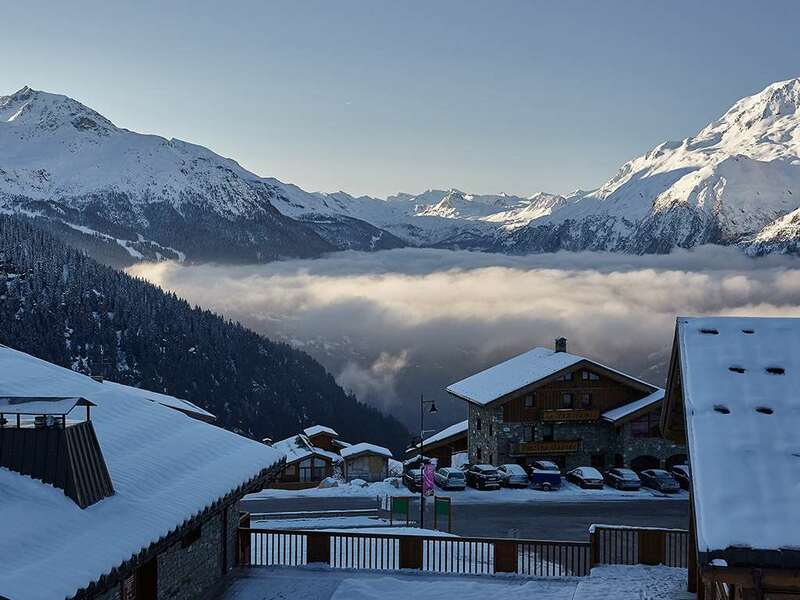 The chalet's prime position near to the pistes allows you to ski to and from just 75m away. It is close to the Les Eucherts Express 6-seater chairlift, ESF ski school meeting point, kintergarden and nursery slope, all of which are a short walk or ski away in the morning. Les Eucherts links to La Rosiere 1850 via a pretty forest track which can be easily walked in 15 minutes. Alternatively you can take a short local bus ride. However with its own ski school and hire, bowling alley, ice rink, bars and restaurants, Les Eucherts is a convenient centre in itself. The Chalet Papillon 4 hosts live in within their own self-contained area. Room 2 can take a cot. All bedrooms in chalet Papillon have full en-suite facilities; there are two communal saunas and plenty of underground parking. Very happy with Igluski and SkiBeat. Organisation very slick. Chalet was good and host Darcy was excellent. always cheerful and helpful. Only gripes were too much food therefore wasteage and all the doors look the same - there could be more information on the doors to help with movement around the block.